We hand Rockstar its report card. The Wii version of the game makes up for its initial complexity with some other exclusive control elements that work nicely. Pinching a girl's bum, for example, is achieved by targeting her and sneaking up behind her, and when prompted by the actions indicator, initiating a prank and pressing A and B together (effectively 'pinching' the remote, since A and B are on the top and bottom of the remote). Similarly with a male, you can perform a 'wedgie' by pulling upwards on both the Remote and the Nunchuk when prompted, the same motion you'd do actually to give a wedgie. It's a little convoluted, but fortunately not too difficult in game, and a good laugh - particularly to see how the subject responds. 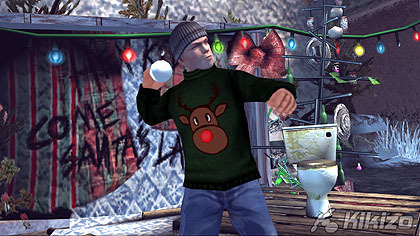 Fortunately there is not too much in the way of pointing, waving and tilting the remote around in the main gameplay, although if you press up on the d-pad to enter first-person (or more accurately, over-shoulder) perspective, the Remote can be used to control looking around (including while moving around), similar to an FPS control scheme. It's more useful when you have a projectile weapon, so that you can manually aim and then pull the trigger to shoot. The next use of motion control is with fight sequences. You'll use left and right swings of the Wii controls as prompted by the screen, in order to chain combinations together. You can finish with a humiliation move, such as a Chinese burn, with a twisting motion on the Remote sealing the deal. Of course, pinching girls' arses and pulling boys' shorts up their crack is considered bad behaviour, so if you do it in plain sight of authority you'll be in trouble, and typically have to make a run for it. A lot has been said about some buggy graphics and in-game crashes on the Xbox 360 version, but these are not issues that have troubled our launch machine. Some have also complained about the effect this has on the save system, and while it could be beneficial to have more autosaves to compensate for this (or the ability to quick save) I just never really felt this was a problem as I played through. To be honest my biggest problem with both versions is too much loading time. Particularly on Xbox 360 I would like to have seen fewer of them, and shorter waiting times too. 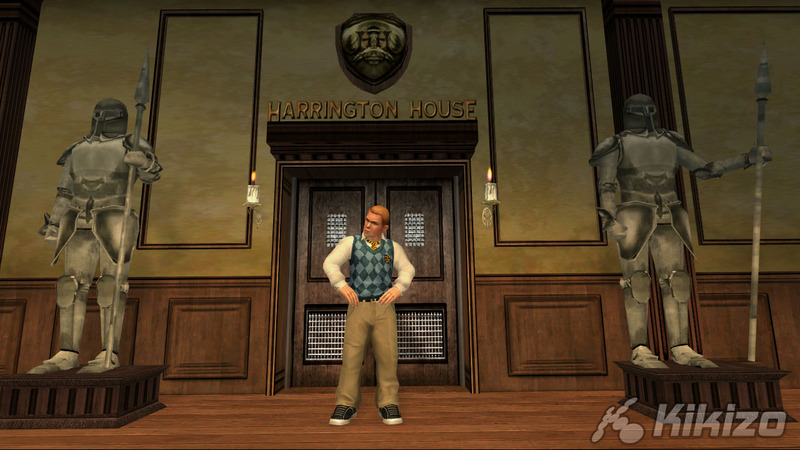 It should have been possible to make the various game areas that you enter and exit more seamlessly linked together (like when you enter or exit a building with no loading at all in GTA IV) for a far, far more fluid experience. I guess this is too complex a job to carry out for older game code being ported to a new machine. Bully: Scholarship Edition offers great value. 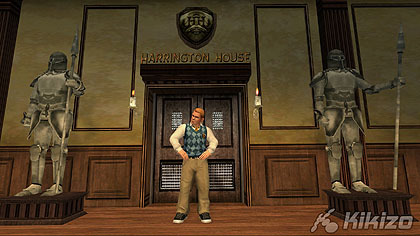 The core game was already very substantial on PS2, and now offers additional content. 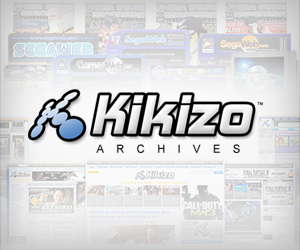 Meanwhile, a variety of addictive and fun multiplayer games (the likes of which frequently ship as a standalone product on Wii) make this a worthwhile game for anyone who missed out on the PS2 version. And particularly for Wii enthusiasts, I'd argue that not many Wii games offer the depth of story and characters that Bully does. 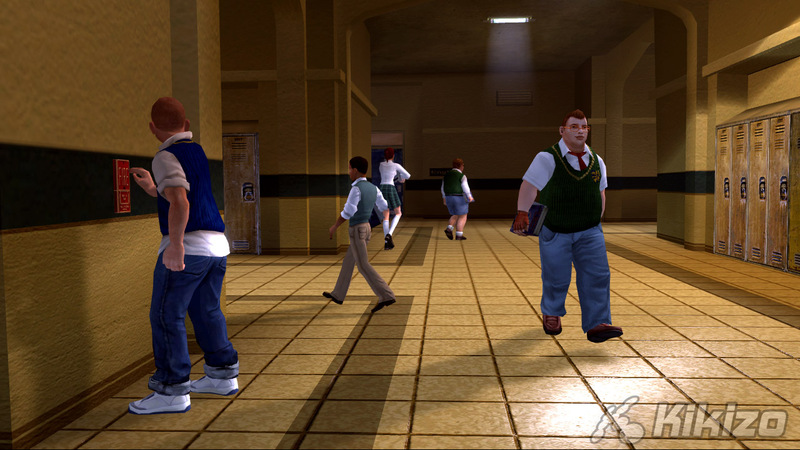 THE VERDICT: A lovable game, Bully is now made even better with some thoughtful new additions. For anyone who missed the PS2 version, this scholarly game design is a pretty essential example of how a slightly more light-hearted, story-driven and mission-based adventure should be done. If you already played and enjoyed the PS2 version, this could be worth playing through again for Achievements and the new material, although with so many good games out right now it would only really make sense to strongly recommend the game to those who are new to Bully. If that's you, check it out.